Alexandria is home to a vibrant culinary scene praised by Food & Wine, Bon Appétit and The New York Times. Minutes from Washington, D.C., restaurants in Old Town Alexandria offer unforgettable meals in a beautifully historic and walkable setting. Alexandria’s restaurants have served U.S. presidents and Washington elite, as well as couples and families seeking a unique dining experience. Old Town is known for its chef-driven and independently owned eateries lining King Street, a nationally designated historic district founded in 1749 and a walkable mile recognized as one of the “Great Streets” of America. 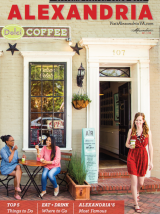 From creative comfort food to decadent desserts, foodies have endless options in Alexandria.